$225.00 Day Block – 25% Savings! (Regular block rate $300.00 a day). Feeling creative? Whether you are starting a new session or finishing an existing project, this deal is for you. 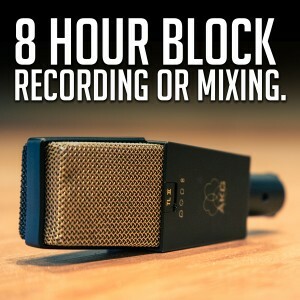 Special is for an 8 hour block towards recording or mixing. Day includes session time, engineer, and any finalized product. Special is for new clients only, price valid towards first booked session. (book one day at discounted rate or multiple days at rate during initial scheduling). Have a few songs you want to demo or maybe a few songs for an E.P.? This deal features one 8hr. block for recording your material in a live performance style. (All musicians performing at the same time). This special package is for up to 3 songs or 15 total minutes of music. 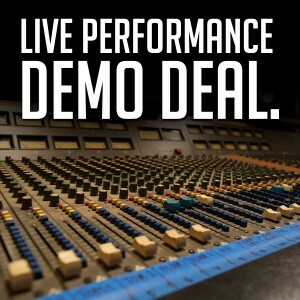 The listed price includes, session engineer, set up, recording, “MIXING and MASTERING” of recorded material. If you need to add more songs or more time, no problem. Contact us for specific project details and to get an accurate quote. Mixing and mastering will be completed a few days after the recording process has finished. Mixing and mastering process is based on a first come first served basis. 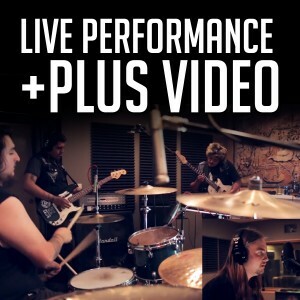 Same package features as the Live Performance Demo Deal but with an added live performance video included. Just pick 1 song from your session and we will edit it for you to share with your fans on youtube or which ever social media source you use most. Great form of web promotion. See some examples listed below.